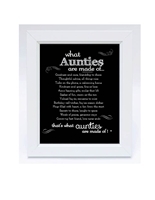 Lucky to have an aunt or auntie who spoils and cuddles and laughs a lot? Give her a sweet gift she will love, a little thumpbrint heart, a fun sign for her home or a sentiment she will love. 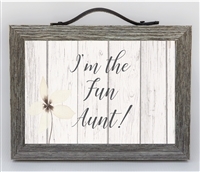 Aunt's Heart, a Pinterest favorite sums it all up! 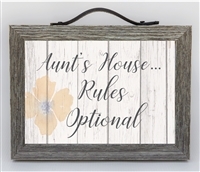 For a personalized gift for aunt, see our Family Personalized Gifts.